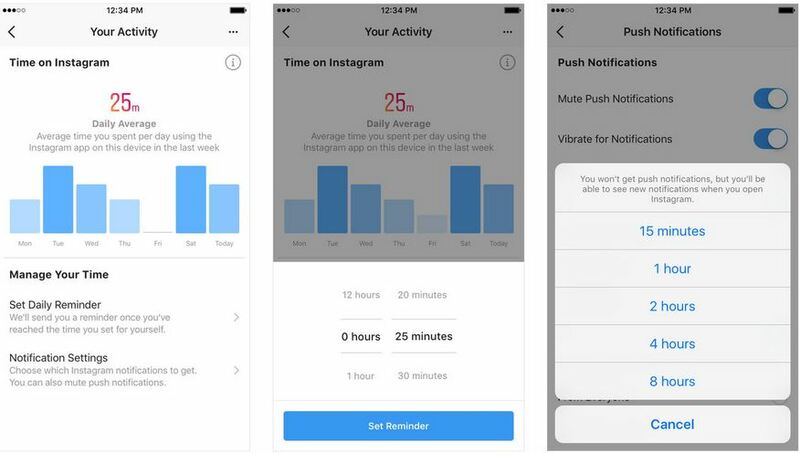 Instagram has rolled out a dashboard that lets you set daily time limits for using the app, and an option to temporarily mute push notifications. This is in line with the ongoing attempts by Instagram’s parent company, Facebook, to introduce new features in its apps to help users fight social media addiction. It’s available as a dashboard and shows you the time you’ve spent in the app over the last week, along with an estimate of the average time spent every day. These new features are a welcome addition because Instagram has had quite a history with social media addiction.